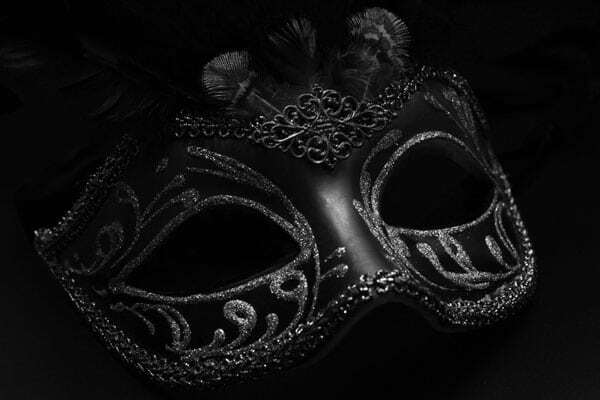 The Nonprofit Masquerade Ball: What Is Speech First? While both glitter in the sunlight, an assayer can easily separate fool’s gold from the real. Distinguishing charitable organizations from political front groups in a sea of 501c3 organizations is not so easy. Whether this is a real concern for the larger nonprofit community is, however, a question. The resources coming from the nonstudent contributors have allowed the organization to get up and running very quickly. They have been able to retain “prominent conservative legal and public-relations firms” and rent “a suite in a top-dollar downtown-DC office building.” Rather than focus on developing their membership base and creating an organizational structure in local communities, efforts most startup nonprofits must focus on, Speech First has been able to go to court demanding that Michigan University be required to “ban any investigation into campus harassment, bullying, and ‘bias-related misconduct.’” This was done despite the fact that the group has not even bothered to form a campus-based chapter or student organization at Michigan. Conservative billionaires have for decades used glittering generalities like “liberty,” “freedom,” and “prosperity” to sell unfree causes: defunding transit, health care, and environmental protections; restricting reproductive rights; and rolling back Wall Street regulations and money-in-politics rules. These conservative ideas often come cloaked in libertarian language. Martin Levine is a Principal at Levine Partners LLP, a consulting group focusing on organizational change and improvement, realigning service system to allow them to be more responsive and effective. Prior to forming Levine Partners, Mr. Levine served the CEO of JCC Chicago creating a purpose driven organization, continuously realigning service and management systems to responsively and effectively fulfill JCC Chicago’s mission. Over the past 35 years Mr. Levine made major contributions to the transformation of JCC Chicago to its present position as a pre-eminent JCC in North America. Mr. Levine focused on strengthening the JCC’s effectiveness as a Jewish Community Building and Jewish Educational organization dedicated to “Bringing Jewish Values to Life” in all aspects of JCC programs and services. Mr. Levine was been responsible for the development of new facilities as part of JCC Chicago’s response to the changing demography of the Metropolitan Jewish Community. In addition, Mr. Levine had responsibility for guiding the Chicago JCC’s integration of its service and business strategies into a holistic approach. In addition to his JCC responsibilities, Mr. Levine served as a consultant on organizational change and improvement to school districts and community organizations. Mr. Levine has published several articles on change and has presented at numerous conferences on this subject. Mr. Levine held membership in many professional organizations including the Association of Jewish Center Professionals (Board member), Association for the Advancement of Social Work with Groups, Association for Quality and Participation, and the Future Search Alliance. A native of New York City, Mr. Levine is a graduate of City College of New York (BS in Biology) and Columbia University (MSW). He has trained with the Future Search and the Deming Institute. Mr. Levine served as President of the Gan Project, an organization committed to engaging communities in locally and ethically produced food. Are Librarians Entitled to Academic Freedom? A union representing faculty and librarians at the University of California tabled a contract provision that would clarify that librarians have the same rights of “academic freedom” as professors. But university negotiators have demurred.